President of the Redeemed Israel Community of Nazarene Association (RICONA) of Nigeria, Bishop Ignatius Orizu, has insisted that the Igbos are Jews. According to him, deoxyribonucleic acid (DNA) sampling conducted by the Jewish Voice Ministries International last year in search of the lost tribes of Israel, which allegedly proved that Igbo were not Israelites, must be repeated. Orizu made the call when the association hosted the founder of ShuvuTV, Rabbi Itzhak Shapira, in Nnewi, Anambra State, during his first visit to Nigeria. 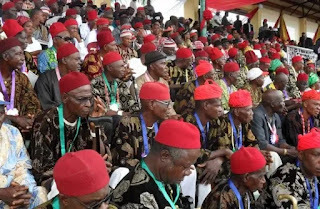 The cleric argued that after a careful study of the whole exercise, the association came to the conclusion that the sampled population was statistically small and did not represent the true population of the Igbo. “The idea, I guess, was to randomly sample the Igbo population, for the discovery of Jewish root. The Igbo population is not less than 50 million, but, unfortunately, a population of 120 people, which is not even up to one percent of the target Igbo population was sampled. “I, humbly, suggest that an improved sampling process be adopted. The whole Igbo states should be randomly sampled to involve about five million Igbo, which is about 10 percent of the Igbo population. With this, the whole population will be affected and any result obtained from the process would be accepted by the Igbo populace,” Bishop Orizu insisted.